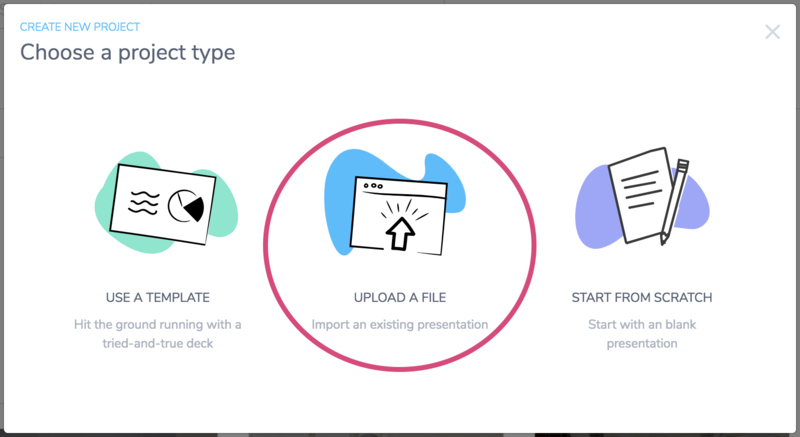 If you're looking for a more agile and smart way to share your slides, Slidebean can host your existing presentations and give you an online platform to manage them. We strongly recommend uploading PDF files only, over PPT or Keynote files. Getting a .pdf file from these applications is quite simple, here you have brief instructions. 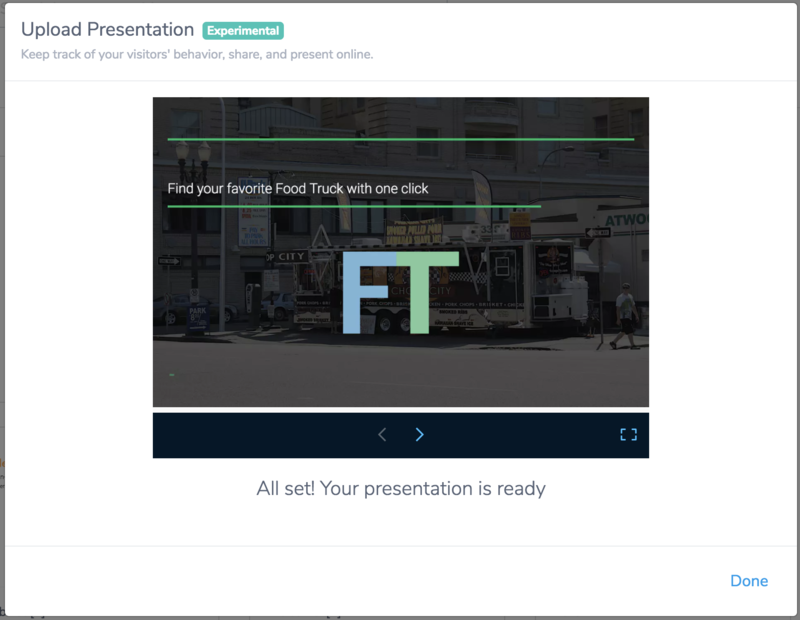 Once you have the PDF file, just hit the "New Presentation" button on your Slidebean dashboard and find the Upload option. A browse window will pop up for you to find and select the file, please wait for the upload process to be completed and then hit Save. You'll see a preview of the slides and then can just hit Done. Keep in mind that the file size may determine loading time. For now, we also recommend to upload slide-formatted documents only. Once imported, the presentation will be available among your Documents where you can access its Share settings, in order to start sharing and take advantage of Insights.